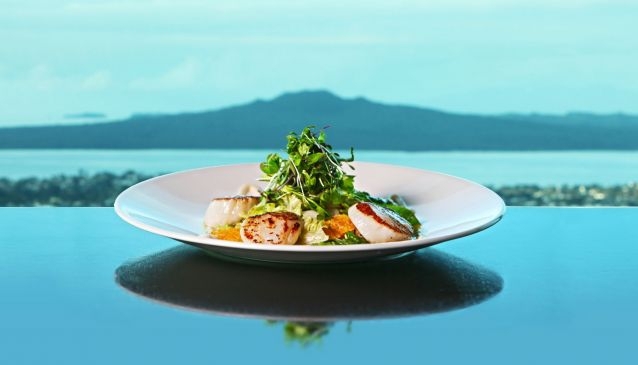 Auckland Restaurants excel in offering local seafood dishes and Pacific Rim variations. For waterside views, many of the restaurants are located in the Viaduct Harbour, Princes Wharf and the Wynyard Quarter. Restaurants in Auckland feature every kind of dining experience. All budgets are catered for, from swanky, waterside dining, to laid back pub grub. Away from the waterfront areas, The Britomart is the place to head to for designer fashion labels and some of the most stylish bars and restaurants in the city. The wilder side of town in Karangahape Road offers lots of cafes and cuisine from around the world, sitting alongside the various late night clubs. Hop across on the ferry to Devonport and enjoy a relaxing meal in a seaside village setting with also has some of the best views of Auckland's skyline. Two of the most popular dining districts with Aucklanders are found in the suburbs of Parnell and Ponsonby, with their eclectic range of bars, cafes and some very upmarket restaurants. Our Auckland Restaurants Guide offers information on all your options for eating out in the city. Revive is a fully vegan, brightly decorated, welcoming venue, where diners are served simple but tasty meals from a regularly changing menu. Funky little Thai restaurant in the CBD, with an exciting menu, warm, modern interior and even a desk-delivery service for busy office workers. Hip with the young crowd..